American Psychological Association. (2010). Publication manual of the American Psychological Association (6th ed.). Washington, DC: American Psychological Association. Arkes, H. R. (1991). Costs and benefits of judgment errors: Implications for debiasing. Psychological Bulletin, 110, 486-498. Barkham, M., & Margison, F. (2007). Practice-based evidence as a complement to evidence-based practice: From dichotomy to chiasmus. In C. Freeman & M. Power (Eds. ), Handbook of evidence-based psychotherapies: A guide for research and practice. Chichester: Wiley. pp. 443–476. Barkham, M., Stiles, W. B., Lambert, M. J. & Mellor-Clark, J. (2010). Building a rigorous and relevant knowledge-base for the psychological therapies. In M. Barkham, G. E. Hardy, & J. Mellor-Clark (Eds. ), Developing and delivering practice-based evidence: A guide for the psychological therapies. (pp. 21–61). Chichester: Wiley. Boswell, J.F., & Castonguay, L.G. (2007). Psychotherapy training: Suggestions for core ingredients and future research. Psychotherapy: Theory, Research, Practice, and Training, 44, 378-383. Boswell, J.F., Sharpless, B.A., Greenberg, L.S., Heatherington, L., Huppert, J.D., Barber, J. P., Goldfried, M.R., & Castonguay, L.G. (2010). Schools of psychotherapy and the beginnings of a scientific approach. In D. H. Barlow (Ed.) Oxford Handbook of Clinical Psychology. (pages 98-127). New York: Oxford University Press. Camara, W., Nathan, J., & Puente, A. (1998). Psychological test usage in professional psychology: Report of the APA practice and science directorates (pp. 51). Washington, DC: American Psychological Association. Campbell, D. T., & Fiske, D. W. (1959). Convergent and discriminant validation by multitrait-multimethod matrix. Psychological Bulletin, 56, 81-105. Chambless, D. L., & Ollendick, T. H. (2000). Empirically supported psychological interventions: Controversies and evidence. Annual Review of Psychology, 52, 685-716. Castonguay, L.G., (2013). Psychotherapy outcome: A problem worth re-revisiting 50 years later. Psychotherapy, 50, 52-67. Castonguay, L.G., Barkham, M., Lutz, W., & McAleavey, A.A. (2013). Practice-oriented research: Approaches and application. In M.J. Lambert (Eds.). Bergin and Garfield’s Handbook of psychotherapy and behavior change (sixth edition) (pages 85-133). New York: Wiley. Castonguay, L.G., Boswell, J.F., ,Constantino, M.J., Goldfried, M.R., & Hill, C.E. (2010). Training Implications of Harmful Effects of Psychological Treatments. American Psychologist, 65, 34-49. Chambless, D. L., & Hollon, S. D. (1998). Defining empirically supported therapies. Journal of Consulting and Clinical Psychology, 66, 7–18. Chambless, D.L., Ollendick, T.H. (2001). Empirically supported psychologyical interventions: Controversies and evidence. Annual Review of Psychology, 52, 685-716. Collins, F. L., Jr., Leffingwell, T. R., & Belar, C. D. (2007). Teaching evidence-based practice: Implications for psychology. Journal of Clinical Psychology, 63, 657-670. Crits-Christoph, P. (1998). Training in Empirically Validated Treatments: The Division 12 APA Task Force Recommendations. In K. S. Dobson & K. D. Craig (Eds. ), Empirically Supported Therapies: Best Practice in Professional Psychology (pp. 3-25). Thousand Oaks, CA: Sage Publications. De Los Reyes, A., & Kazdin, A. E. (2005). Informant discrepancies in the assessment of child psychopathology: a critical review, theoretical framework, and recommendations for further study. Psychological Bulletin, 131, 483–509, DOI 10.1037/0033-2909.131.4.483. Evans, S. W., & Youngstrom, E. A. (2006). Evidence Based Assessment of Attention-Deficit Hyperactivity Disorder: Measuring Outcomes. Journal of the American Academy of Child and Adolescent Psychiatry, 45, 1132-1137. Frisch, M. B. (1998). Quality of life therapy and assessment in health care. 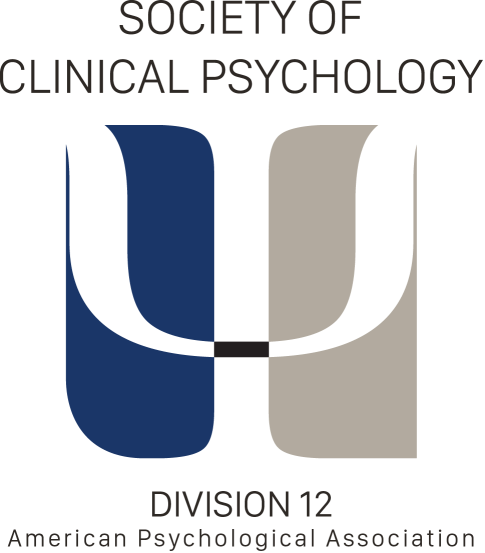 Clinical Psychology: Science and Practice, 5, 19-40. Garb, H. N. (1998). Studying the clinician: Judgment research and psychological assessment. Washington, DC: American Psychological Association. Gigerenzer, G., & Hoffrage, U. (1995). How to improve Bayesian reasoning without instruction: Frequency formats. Psychological Review, 102, 684-704. Gray, G. E. (2004a). Concise Guide to Evidence-Based Psychiatry. Arlington, VA: American Psychiatric Publishing, Inc.
Gray, G. E. (2004b). Evidence-based psychiatry. Washington, D.C.: American Psychiatric Publishing, Inc.
Grove, W. M., & Meehl, P. E. (1996). Comparative efficiency of informal (subjective, impressionistic) and formal (mechanical, algorithmic) prediction procedures: The clinical-statistical controversy. Psychology, Public Policy, and Law, 2, 293-323. Grove, W. M., Zald, D. H., Lebow, B. S., Snitz, B. E., & Nelson, C. (2000). Clinical versus mechanical prediction: A meta-analysis. Psychological Assessment, 12, 19-30. Guyatt, G. H., & Rennie, D. (Eds.). (2002). Users’ Guides to the Medical Literature. Chicago: AMA Press. Hil, C.E., Stahl, J., & Roffman, M. (2007). Training novice psychotherapists: Helping skills and beyond. Psychotherapy: Theory, Research, Practice, and Training, 44, 364-370. Hoagwood K.E. & Cavaleri, M.A. (2010). Ethical issues in child and adolescent psychosocial treatment research. In J.R. Weisz & A.E. Kazdin (Eds.) Evidence-based psychotherapies for children and adolescents, Second Edition. New York: Guilford. Hoge, M. A., Tondora, J., & Stuart, G. W. (2003). Training in evidence-based practice. Psychiatric Clinics of North America, 26, 851-865. Howard, M. O., Allen-Meares, P., & Ruffolo, M. C. (2007). Teaching evidence-based practice: Strategic and pedagogical recommendations for schools of social work. Research on Social Work Practice, 17, 561-568. Huey, S.J. & Polo, A.J. (2008). Evidence-Based Psychosocial Treatments for Ethnic minority youth. Journal of Clinical Child & Adolescent Psychology, 37, 262-301. Jaeschke, R., Guyatt, G. H., & Sackett, D. L. (1994). Users’ guides to the medical literature: III. How to use an article about a diagnostic test: A. Are the results of the study valid? Journal of the American Medical Association, 271, 389-391. Kraemer, H. C. (1992). Evaluating medical tests: Objective and quantitative guidelines. Newbury Park, CA: Sage. Lambert, M. J., & Brown, G. S. (1996). Data-based management for tracking outcome in private practice. Clinical Psychology: Science and Practice, 3, 172-178. LeMoulth, J., Castonguay, L.G., Joorman, J., & McAleavey, A. A. (in press). Depression: Basic research and clinical implications. To appear in L.G. Castonguay & T.G. Oltmanns (Eds), Psychopathology: From science to clinical practice. New York: Guilford Press. Lilienfeld, S. O. (2007). Psychological treatments that cause harm. Perspectives on Psychological Science, 2, 53-70. Luborsky, L. (1984). Principles of psychoanalytic psychotherapy. New York: Basic Books. Lueger, R. J. (2002). Practice-informed research and research-informed psychotherapy. Journal of clinical psychology, 58, 1265-1276. Milrod, B., Leon, A.C., Busch, F., Rudden, M., Schwalberg, M., Clarkin, J., et al. (2007). A randomized controlled clinical trial of psychoanalytic psychotherapy for panic disorder. American Journal of Psychiatry, 164(2), 265-272. Moher, D., Schulz, K. F., & Altman, D. G. (2001). The CONSORT statement: revised recommendations for improving the quality of reports of parellel-group randomised trials. The Lancet, 357, 1191-1194. Norcross, J.C. (2011) (E.d). Psychotherapeutic relationships that work. New York: Oxford Unversity Press. Norcross, J. C., Hogan, T. P., & Koocher, G. P. (2008). Clinician’s Guide to Evidence Based Practices: Mental Health and the Addictions. London: Oxford. with comorbidity. In Wetzler, S, & Sanderson, W.C. (eds. ): Treatment Strategies of Patients with Comorbidity. New York: Wiley. Silverman, W. A. (1998). Where’s the evidence: Debates in modern medicine. New York: Oxford University Press. Psychosocial Treatments for Children and Adolescents: A 10-Year Update. Journal of Clinical Child & Adolescent Psychology, 37, 1 — 7. Spring, B. (2007). Evidence-based practice in clinical psychology: What it is, why it matters; What you need to know. Journal of Clinical Psychology, 63, 611-631. Stiles, W.B., (1988). Psychotherapy Process-outcome research can be misleading. Psychotherapy, 25, 27-35. Straus, S. E., Glasziou, P., Richardson, W. S., & Haynes, R. B. (2011). Evidence-based medicine: How to practice and teach EBM (4th ed.). New York: Churchill Livingstone. Stricker, G., & Gold, J. R. (1996). Psychotherapy integration: An assimilative, psychodynamic approach. Clinical Psychology: Science and Practice, 3, 47-58. Swift, J.K., Callahan, J.L., & Vollmer, B.M. (2011). Preferences. In J.C. Norcross (2nd ed.) Psychotherapy relationships that work. (pages 301-315). New York: Oxford University Press. Thorn, B. E. (2007). Evidence-based practice in psychology. Journal of Clinical Psychology, 63, 607-609. Whiting, P., Rutjes, A. W., Reitsma, J. B., Bossuyt, P. M., & Kleijnen, J. (2003). The development of QUADAS: a tool for the quality assessment of studies of diagnostic accuracy included in systematic reviews. BMC Medical Research Methodology, 3, 25. Youngstrom, E. A. (2008). Evidence-based strategies for the assessment of developmental psychopathology: Measuring prediction, prescription, and process. In D. J. Miklowitz, W. E. Craighead & L. Craighead (Eds. ), Developmental psychopathology (pp. 34-77). New York: Wiley.